Prepayment is required at the front counter. All new ice skates should be sharpened! Skates should be sharpened on a regular basis - every 4 - 6 weeks of skating. To prevent rust on blades always dry skate blades before putting away. 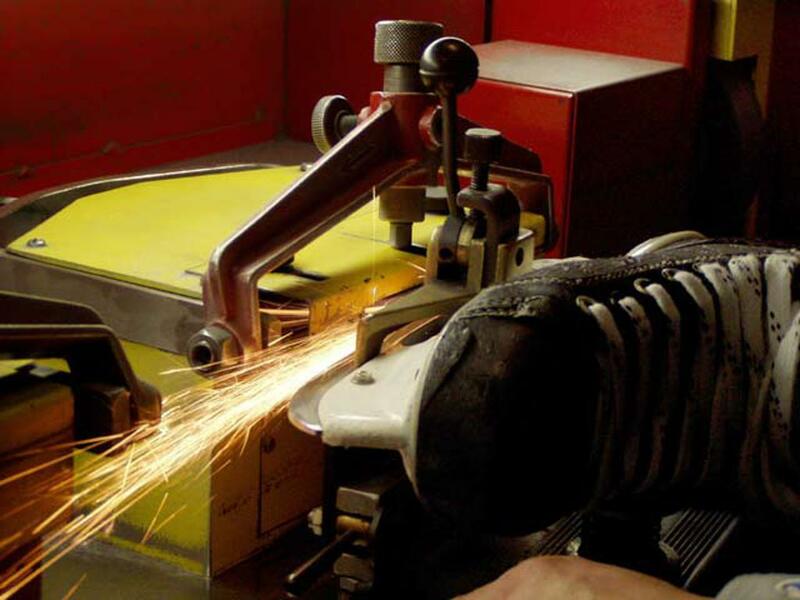 The skate sharpening industry standard is to sharpen skates with a 1/2 inch hollow. As a hockey player's skating skills increase some choose to change that hollow to 3/8 inch. Though the skate blade is completely sharpened at either depth, some skaters feel that the 3/8 inch sharpening gives them more "bite" or "grab" in the ice.